SI Precast and a representative from Redi-Rock International recently hosted the regional meeting of the American Society of Civil Engineers in Shreveport LA. There were about 30 engineers and installers in attendance who learned about Heavy/Civil Applications For Redi-Rock retaining wall systems. 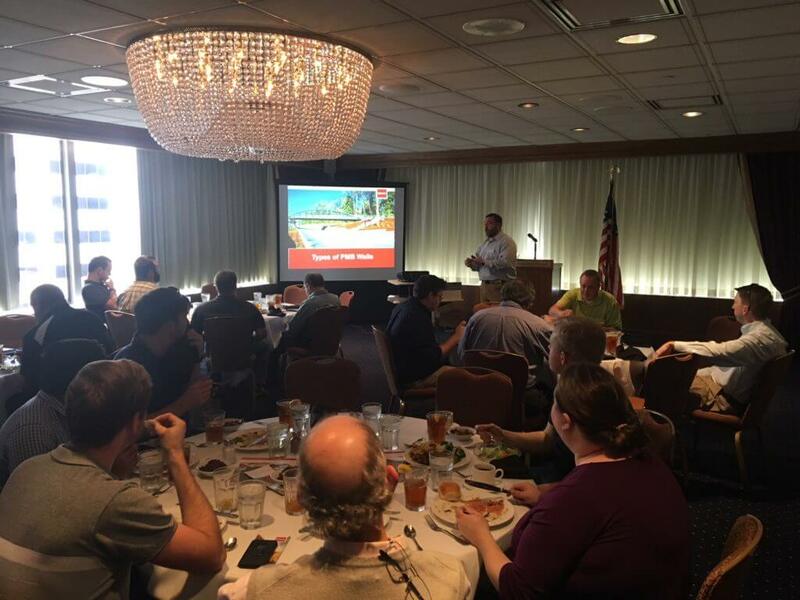 The meeting and presentation were held at the Petroleum Club in Downtown Shreveport. Colin Johnson from Redi-Rock International was the Speaker and Bryan Roy (the LA Redi-Rock rep) and Joe Wright ( the Dallas Redi-Rock rep) were also in attendance. SI Precast is proud to be a licensee and manufacturer of Redi-Rock retaining wall systems and offers this product at several of our locations.